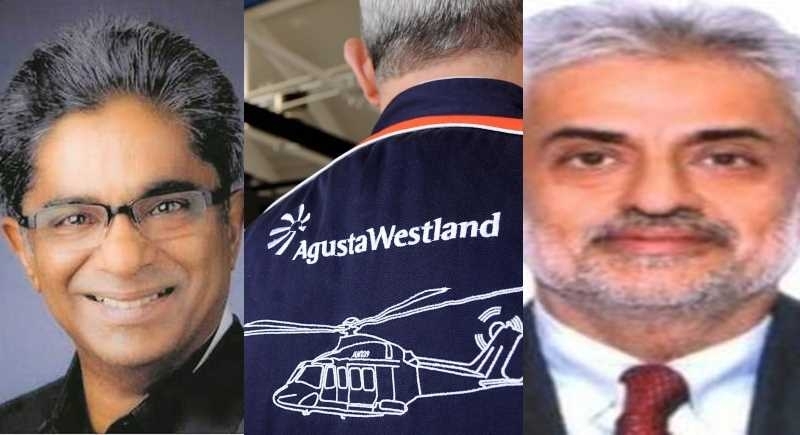 New Delhi, January 31: In VVIP chopper scam, Agusta Westland co-accused Rajiv Saxena, lobbyist Deepak Talwar extradited to India from UAE. The two accused were extradited to India and arrested by the ED in the wee hours of 31 January. Two separate teams of the Enforcement Directorate have started questioning the two men at different locations. Saxena will be produced before Special CBI Judge Arvind Kumar today. The ED had alleged that Rajeev Saxena, his wife and their two Dubai-based firms routed the proceeds of crime and further layered and integrated into buying the immovable properties/shares among others. The Enforcement Directorate (ED) had summoned Saxena multiple times in the AgustaWestland scam and had arrested his wife from Chennai airport in July 2017. She is now out on bail. Rajiv Saxena, the co-accused in 3,600-crore rupee AgustaWestland chopper deal case, and corporate lobbyist Deepak Talwar have been extradited to India from the United Arab Emirates. This is a multimillion-dollar corruption case wherein money was paid to middlemen and Indian officials in 2006 and 2007 to purchase helicopters for high-level politicians. As per the CBI, this amounted to Rs. 250 crore, transferred through bank accounts in the UK and UAE. On 25 February 2013, CBI registered a Preliminary Enquiry (PE) against 11 persons including the former Indian Air Force Chief, Air Chief Marshal S.P. Tyagi, and his cousins, besides four companies. On 27 February 2013, UPA-II Government introduced a motion in Rajya Sabha for an investigation led by a 30-member Joint Parliamentary Committee (JPC). India cancelled the ₹3,600 crore deal with AgustaWestland in January 2014. In September 2015, a special CBI court issued an open non-bailable warrant (NBW) against Christian Michel based on a CBI report that he was needed to be questioned in the case to know how much amount he had received as "commission" in the deal. In March 2015, the ED traced and identified the properties worth around ₹1.12 crore owned by Christian Michel and issued a provisional attachment order. The Italian court, investigating the case in October 2014, acquitted ex-IAF Chief S.P. Tyagi of all corruption charges. It also acquitted the former Finmeccanica CEO Giuseppe Orsi and former AgustaWestland head Bruno Spagnolini of “charges of international corruption.” The court, however, convicted and sentenced them to two years in prison on the lesser charge of “false invoicing” in the case.